Let the healing continue. 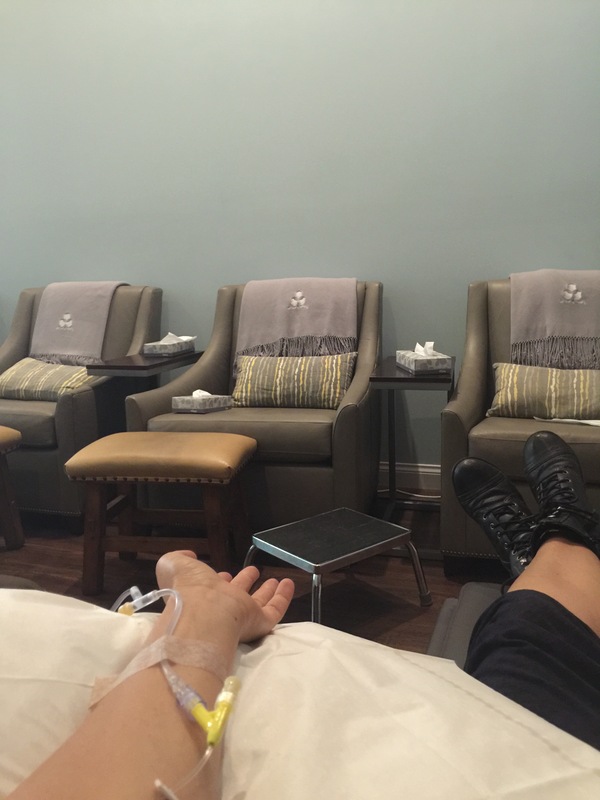 Stronger doses of IV cocktails, stronger protocol, more disciplined on the food, Accupuncture, NSA, Lympathic massage, infrared sauna, all homeopath treatments to speed up the healing, mixed with western scientific tracking and results. We shrunk the tumor once, we will this time crush it. The last part of my healing is to master my emotions, let go of stress and worry, let GOD do his work as I surrender. I am soooooo ready! It’s almost been a 5 year journey. But the surgery way would have been worse! I can’t even imagine getting half of a jaw cut and bone removed from the leg to replace the bone, then an artery from the leg be tied to an artery from my neck to provide bone supply…and three follow up surgeries in two years would have been their recommendation! Going the alternative route in the first 90 days with my treatment I had 41% reduction, and although part of it regressed back, the other two parts improved. The miracle: part of the bone has regrown around the tumor and covered it almost completely! This NEVER happens! Bone doesn’t regrow it decalcifies, but mine, through a healing miracle, has grown back. I got the X-rays to prove it! This entry was posted in Ameloblastoma, Health & Fitness and tagged alteenative healing, ameloblastoma, healing, miracle healing, Yvette Ulloa. Bookmark the permalink. Unfortunately, stress is an everyday part of life. Watching the news, dealing with the loss of a loved one, or just simply being overworked has been linked to causing a variety of health issues… including cancer! Learning how to deal with those stresses is the key to a happy, healthy life. In this article, we examine 4 ways to heal emotional trauma and lower stress levels. By using these techniques, you’ll be able to decrease the amount of stress in your daily life. Go here to read the article and discover how you can start living stress free!